Los Angeles’ newest boutique fitness concept is all about spreading good vibes…literally. 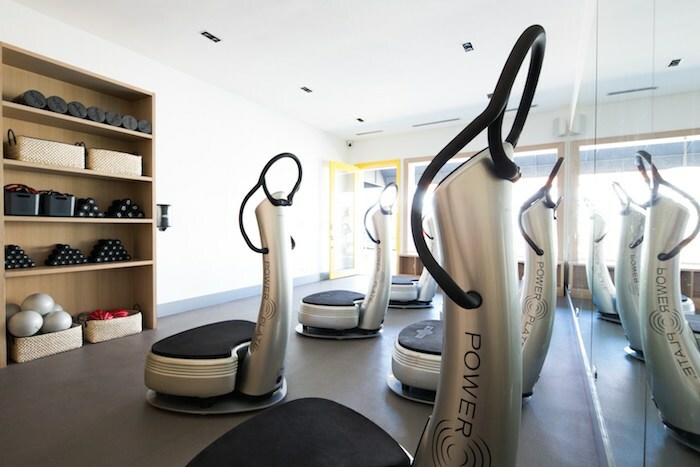 PlateFit, which recently opened in West Hollywood, is the city’s only studio dedicated solely to the Power Plate—you know, that vibrating pedestal that causes your muscles to contract 30 to 50 times a second just by standing on it. Not only does that equal a serious burn, but it’s also highly efficient; several sources claim 30 minutes of this method, dubbed Whole Body Vibrational Training (WBVT), equals 90 minutes of traditional exercise. 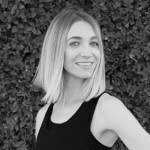 At the helm of the new space is Rachael Blumberg, a former Fox staffer who quit the corporate world eight years ago to bring Power Plate classes to studios like Train and Xtend Barre (which have both since closed). “What I’ve designed is what people are really after right now—a class setting with great music and fun instructors—that also gives the benefits of this amazing machine,” she says. In other words, don’t expect just the straightforward lunges and push-ups found in standard Power Plate classes; the schedule is also packed with new takes on your favorite studio workouts, all of which clock in at just 27 minutes. For example, DanceFIT features a dance cardio routine choreographed atop the plate, while BalletFIT incorporates barre movements and YogaFIT’s centerpiece is a vinyasa flow. And since Power Plate research indicates that the device helps reduce cellulite, there’s a class for that, too. With only seven spots available in each session, the competition to get in is as brutal as a long set of burpees—even though there are nearly 20 classes offered each weekday and around 10 per day on weekends. “People are lining up; we’ve had over 3,200 students in a month and a half,” says Blumberg. After taking the studio’s BootcampFIT class, I can see why it’s such a hit: The jarring vibrations force you to involuntarily engage seemingly every muscle in your body to stay balanced. After several rounds of jump squats, medicine ball lifts, and forearm planks, I walked out as exhausted and drenched in sweat as an hour at Barry’s, but still had time to grab a juice from down the street before my 45-minute parking meter ran out. And there are plenty of long-term benefits to stepping up to the plate as well. “The Power Plate was originally developed for the Russian cosmonauts [to counteract] muscle atrophy in outer space,” explains Blumberg, who notes that it’s also been proven to help improve bone density, circulation, and range of motion. Talk about a (sky) high vibe. We’re all about the 30-minute-or-less workout right now—for other quick fitness fixes in WeHo, check out Lagree Fitness (and its cutting-edge Megaformer update) and Rise Nation.